Tensions between Iran and the United States have increased since May, when US President Donald Trump abandoned a 2015 nuclear deal between Tehran and major powers. "Iran is now increasingly feeling the economic isolation that our sanctions are imposing...We do want to deny the regime revenues," Brian Hook told a news conference in the United Arab Emirates capital Abu Dhabi. "Eighty percent of Iran's revenues come from oil exports and this is (the) number one state sponsor of terrorism...We want to deny this regime the money it needs," Hook said. Tensions between Iran and the United States have increased since May, when US President Donald Trump abandoned a 2015 nuclear deal between Tehran and major powers, saying the accord was flawed in Tehran's favor, and reintroduced sanctions on Iran that had been lifted under the pact. Tehran has refused to renegotiate its nuclear accord and says its ballistic missile program - another source of concern for Washington and its regional allies such as Israel and Saudi Arabia - is solely defensive and untouchable. 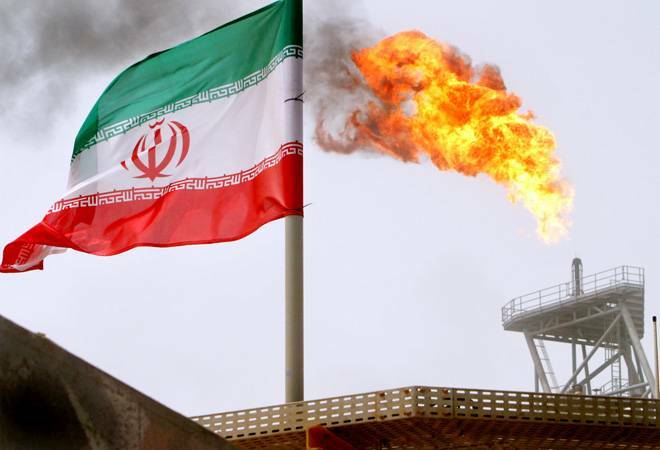 Iran's crude exports will be severely curtailed for a third month in January as it struggles to find new buyers amid U.S. sanctions even though its traditional customers secured temporary waivers, according to tanker data and industry sources.